Celebrate someone's birthday in style with a large one dozen birthday balloon bouquet, delivered with a box of delicious caramels. 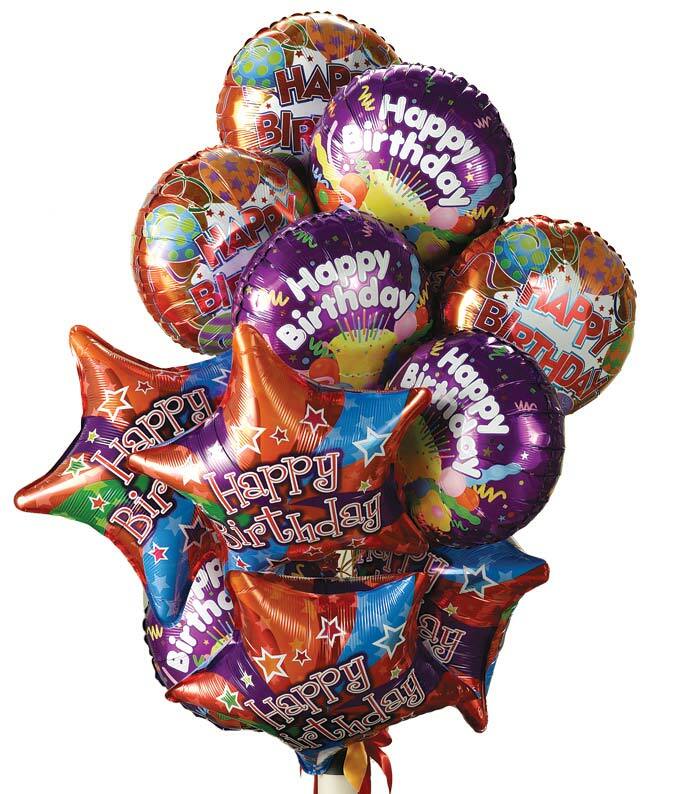 These birthday mylar balloons will make the birthday person's day extra special, whether it is delivered to their school, work or home. Hand arranged by a local florist, with a card included to send your birthday wishes. Arrangement measures approximately 54"H x 36"W x 34"D.